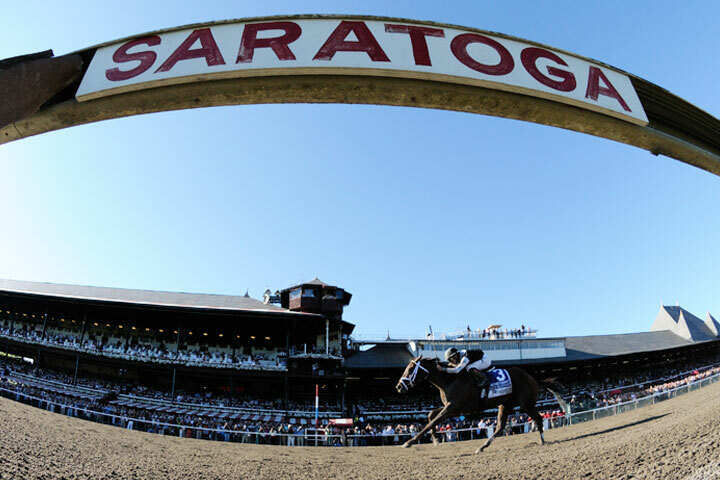 Saratoga is a magical place in the summertime for Eclipse and “The Spa” serves as a haven for the horses and the partners who indulge in the historic racing town and venue. While the afternoons at the races are glorious, morning training hours are a treat and provide Eclipse’s partners with some of the most special times of the year. Eclipse has been fortunate to celebrate many big wins at The Spa and the one that really implanted the baby blue and black as a force to be reckoned with was Capo Bastone’s thrilling last-to-first tally in the Grade 1, $500,000 King’s Bishop in 2013.